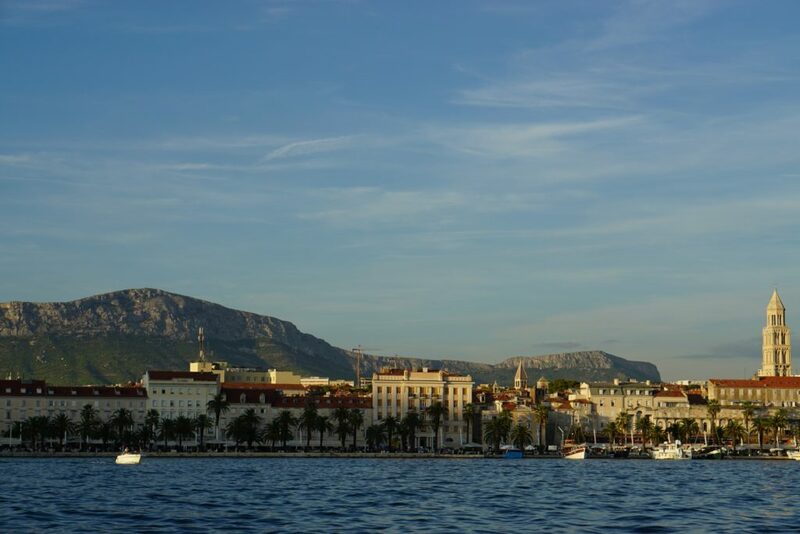 Split is a waterfront city overlooking the Adriatic Sea. It is one hour and forty minutes from Zadar and three hours from Dubrovnik. Like most tropical oceanfront cities palm trees line the waterfront and there is a boardwalk where you can walk along the water. What made Split feel unique to me, was the architecture, beautiful ancient buildings that are home to quite a few iconic scenes from Game of Thrones. We decided that it would be easiest to travel to Split by bus. We took the bus from Zadar to Plitvice National Park, stored our luggage in the lockers at Plitvice and then travelled by bus to Split in the evening. We had a chill night at our Airbnb, so we would be to go on our day trip the next day. I read on a few blogs that it is important to stay close to Diocetian’s Palace so we found an Airbnb that worked out to about $60 CAD/night that was a ten-minute walk from the palace. At night it was very quiet since we were able to escape the hustle and bustle of the city. Quite a few of the hotels located within Diocetian’s Palace do not have the same soundproofing that would be expected from modern hotels. If you are a light sleeper, I would suggest booking accommodation outside of old town. We had heard from friends that the tours in Split book up quickly so we booked our boat cruise a few days before arriving to Split. I used Get Your Guide to read the reviews on each tour and decide which tour we would like to go on. We went on the Five Island Tour which included a stop at the Blue Cave and Hvar. It ended up being a really long day, so I think I would just choose a tour that went to the Blue Cave, the Blue Lagoon and Hvar. The other islands weren’t as noteworthy. 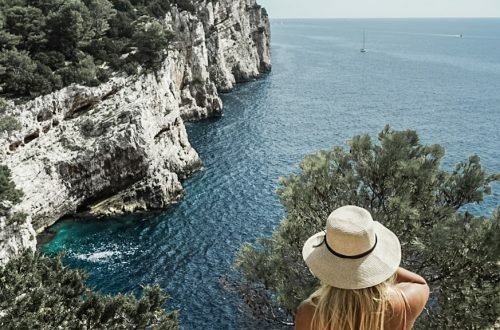 The Blue Lagoon is an amazing spot to go swimming and Hvar is nice to go to the look out points, explore the city and perhaps check out the Hula Hula Beach Bar. Although, I wouldn’t recommend our exact tour, it is worth it to check out some of the other islands and the caves. Our tour was on a large speedboat which I liked because it cut down on the travel time but it does tend to cost a bit more. Our ride back to Split was quite choppy, so I can’t imagine what it would have been like if we were on a smaller boat. The Palace is a must see and more or less unavoidable if you are planning to do anything touristy in the area. There are quite a few recognizable spots from Game of Thrones that are hard to miss. I don’t think it is necessary to sign up for a tour, unless you appreciate quite a bit of narration. We found it easy to explore on our own. The one thing I would recommend doing is checking out the view from the Bell Tower. It is very close quarters and there are quite a few stairs to climb, but the view is stunning. The tower overlooks the water and the city. Second, to the beaches we visited on our boat tour, Kasjuni beach was worth a visit. It is definitely not walkable but an Uber there is affordable and it is a short drive. We looked into taking the bus and it would take 30 minutes versus a 15 minute car ride from our Airbnb. The water is so clear and the beach has a laid back vibe. Joe’s Beach Bar is located right on the water, which has cabanas, lounge chairs and of course food and drinks. There is a rental fee to book the cabanas and the lounge chairs. We opted to stay in the public area of the beach and just lay in the peddles, which is free! After a few busy travel days, a beach day was exactly what we needed to unwind. I got quite a few recommendations on where to eat in Split. 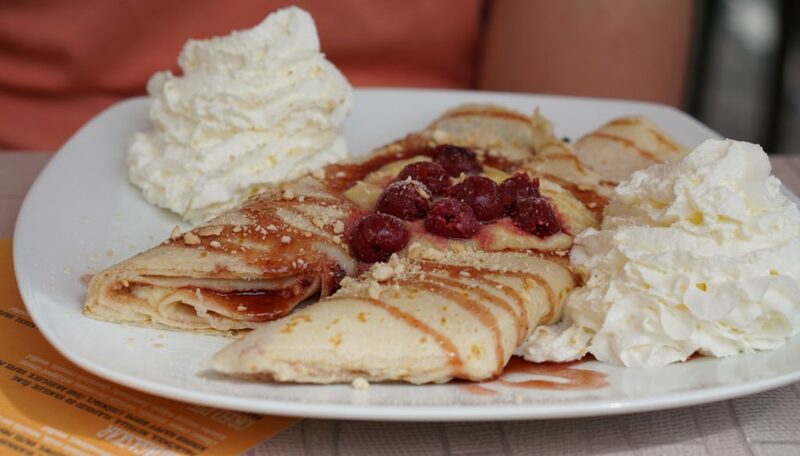 Like most places in Croatia, all the recommendations for places to eat are within the walls of old towns; tourists love the old towns so all the prices are inflated. I look forward to trying local cuisine when I am travelling, so we didn’t let the price tags slow us down. Through trial and error, online reviews and word of mouth, we did stumble upon a few places that I would recommend checking out while you are there. Breakfast was a tricky meal for us. We had developed a breakfast routine of waking up early and enjoying a coffee and some sort of pastry at a local cafe. It had been a while since we had a proper Canadian breaky. When Benjamina showed up as a restaurant near me, I was adamant about checking it out. We both ordered coffees and I had a protein pancake, while Tyson ordered a savory crepe and a sweet crepe. Everything was super delicious, the service was amazing and the prices were very reasonable. We had a very pricey dinner our first night in Split and it was very disappointing. The service was terrible, the food was good but it was really nothing special given the price point. I had to redeem myself for our second dinner, as the meal planner for the two of us. Corto had amazing reviews so I convinced Tyson to give it a try. We ordered a few dishes to share. One being, the Smoke on the Water, a seafood pasta, which ignited Tyson’s obsession with black pasta. 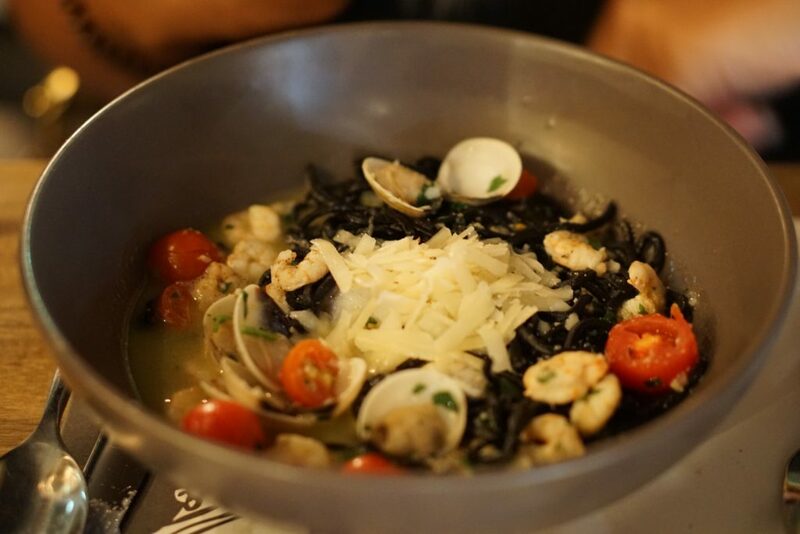 It was the best seafood risotto of our whole trip. The second was the beef cheek which was equally amazing. For some reason quite a few reviews recommended to order the bread. I am not sure why, we ordered the bread and it was fine, but I don’t think it is a must-have if you do head to Corto Maltese. This was the best gelato of our trip, and we had gelato every day, sometimes twice a day. I had one scoop of strawberry and one scoop of chocolate, as you do when on vacation because swimming and walking all day counts as exercise. All their gelato is made from fresh fruits and I could taste the difference. I wish we hadn’t dabbled in exploring new spots because every gelato we had after this was a let down. 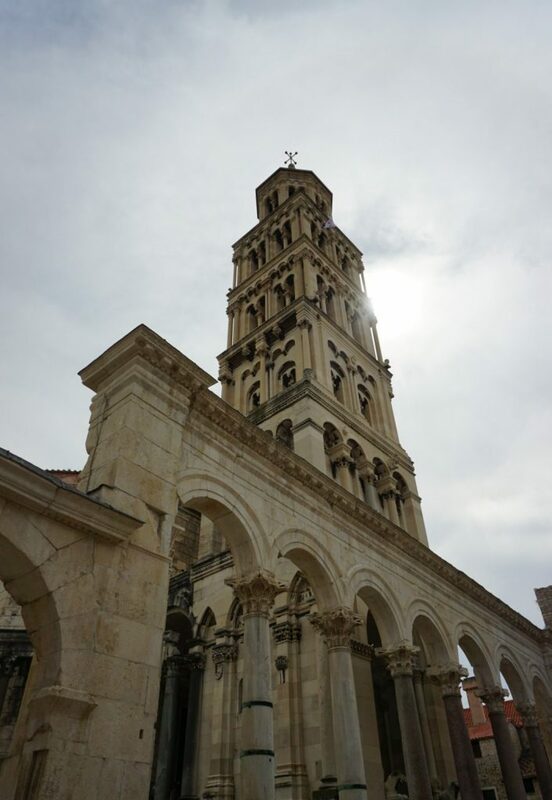 We loved Split, with seafood, wine, beaches and architecture, there is no way to have a bad time. 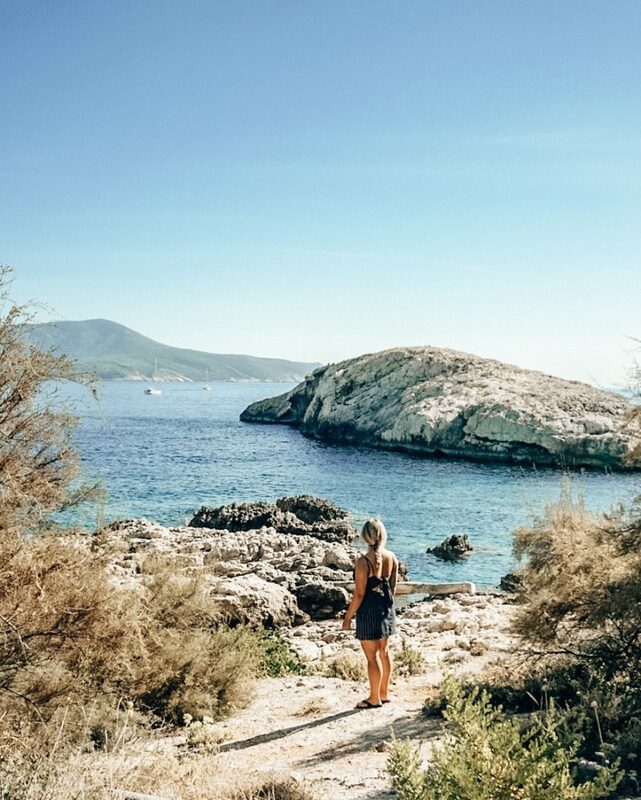 If you are planning a trip to Croatia be sure to check out my travel guide. I include my tips for getting around and the approximate costs of things while you are there. Have you been to Split? Let me know what was the highlight of your trip in the comments below.